I Hate Running Backwards is now available on Linux! Croteam has always been fond of video game fans on Linux and that’s exactly why almost all of our games got Linux support day-one. 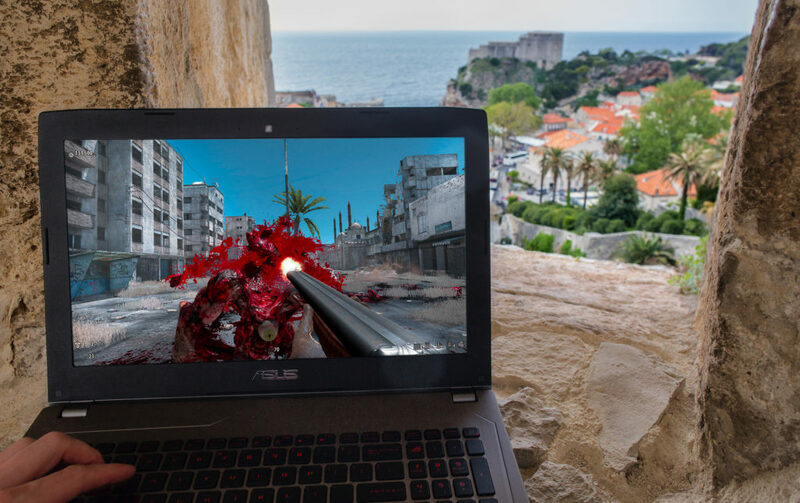 Well, it seems like the teams from the Croteam Incubator share that love, so gamers on Linux can now enjoy I Hate Running Backwards on their preferred OS. 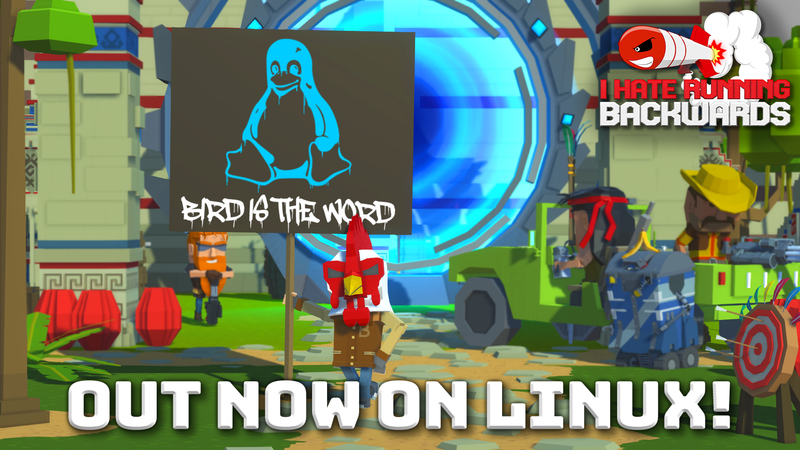 The Linux version of the game features all the latest updates introduced with the IHRB MEGA UPDATE 1.1.0. which means you get to enjoy the refreshed gameplay, new animations, weapons and arsenal systems. 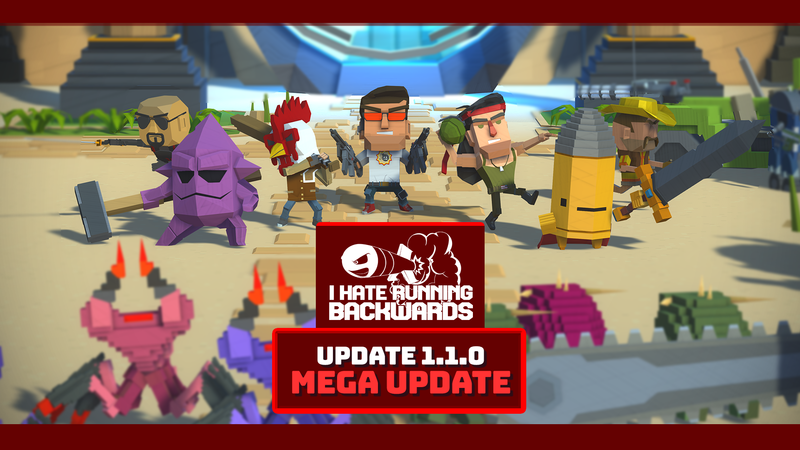 One month after the Croteam Incubator spawned its first full game release, I Hate Running Backwards by Binx Interactive becomes even better with the launch of MEGA UPDATE 1.1.0. Made based on community feedback, this update brings more variety and more evolving gameplay to the original formula. One of the most important changes is the introduction of a brand new Primary Weapon Locker system which allows you to switch up your primary weapon for every character before each run. The I Hate Running Backwards MEGA UPDATE 1.1.0 also introduces updated character visuals and various bug fixes and tweaks. Find the full changelog here. Didn’t get that running backwards itch yet? Now’s the time, because I Hate Running Backwards is available at 35% off for the duration of the Steam Summer Sale 2018. It’s time to go outside and play, they say. Fine. Let’s just stock up on the games before we go. Steam Summer Sale is on and all of our titles are so heavily discounted that we’re practically giving them away! Take a look at our 25th anniversary storefront and grab Croteam’s games up to 90$ off! Tormental Hits Early Access on August 2nd 2018! After a couple of years in development, Tormental is ready to become the second Croteam Incubator game available to the general public. Launching on Steam Early Access on August 2nd, 2018, based on the Serious Sam universe and developed by Gungrounds, Tormental will take you on a journey through a tormented mind of Mental, a demigod of destruction. Players jumping in on the Early Access action will get a chance to become a part of the development and influence the evolution of Tormental in the coming months, be it through the official discussion boards on Steam or the Tormental Discord channel where the developers are active daily. For more info on Tormental please visit Steam and don’t forget to wishlist and follow in order to get all the fresh info first. 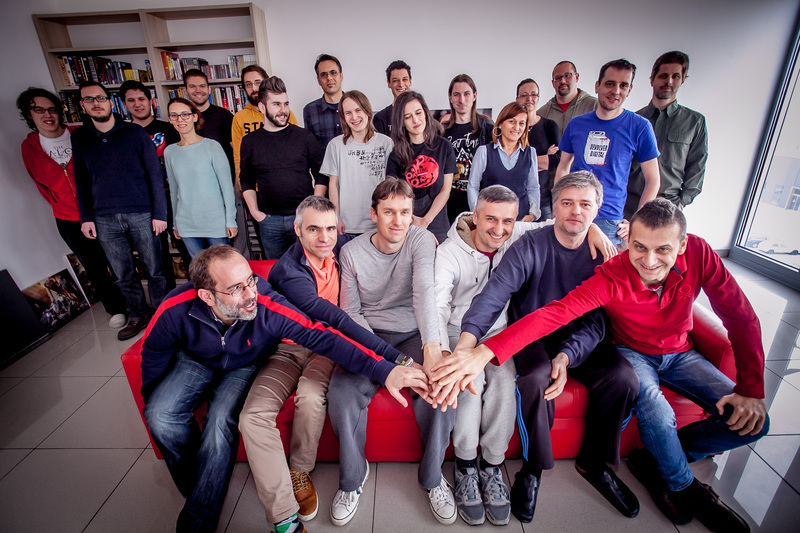 For all of us at Croteam, 2018 has been a special year so far. 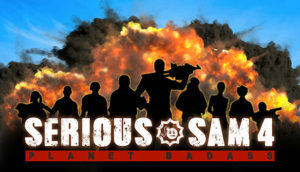 We have done many things we are proud of, but none of them as big as the announcement of Serious Sam 4: Planet Badass, a new game in the series that made us into what we are today. But, all of those things seem small compared to the biggest milestone so far – our 25th anniversary. Being a part of this amazing industry for such a long time means we have gone through it all, from the proverbial garage where we were dreaming of a future in which we can live off of making games, to our breakout with Serious Sam and that dream becoming a reality. We’ve built lots of memories and stories over the years, but none of them would be possible without the neverending support from our fan base that stuck with us through thick and thin. We are eager to continue our journey for another 25 years and then some, but before we do so, we want to show our love and appreciation to you, the community, with a huge Croteam 25th Anniversary Sale on Steam where you can grab all our games with up to 90% off!